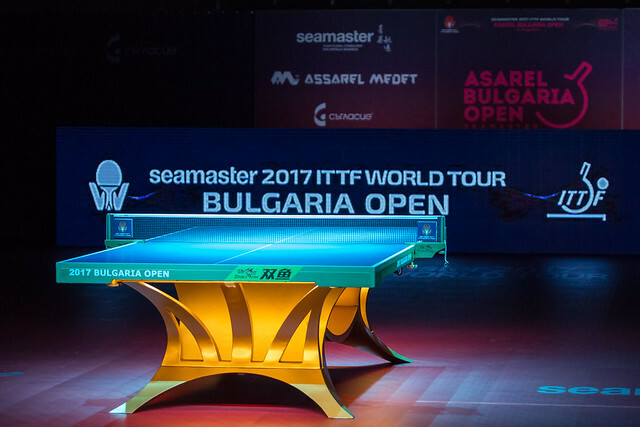 Chinese Taipei will have representatives in the quarter-finals of the Under 21 Women's Singles competition at the Seamaster 2017 ITTF World Tour Asarel Bulgaria Open, after Lin Chia-Hsuan and Huang Yu-Chiao both successfully negotiated the Round of 16 stage on Tuesday 15th August. Standing in Lin Chia-Hsuan’s path was French competitor Audrey Zarif who arguably entered the Round of 16 tie with more expectation on her shoulders than the player from Chinese Taipei. However, Lin Chia-Hsuan put in a fine performance and eventually emerged victorious across four games (11-8, 11-7, 8-11, 11-8) to book her spot in the last eight. Huang Yu-Chiao also managed to progress through to the quarter-finals stage of the tournament, but the Chinese Taipei contestant required somewhat of a comeback in her encounter against Ayhika Mukherjee, recovering from a two games to one deficit to defeat the Indian in five ends (7-11, 11-8, 8-11, 11-6, 11-7). Ayhika Mukherjee was not the only Indian player to face elimination in the Round of 16, and in fact all five of the country’s representatives failed to progress from the round. Three Indian competitors lost out to Japanese opposition including Archana Girish Kamath, who proved unable to negotiate her fixture against Asuka Sasao despite having made a strong start to the tie (11-7, 5-11, 6-11, 2-11). There was also disappointment for Amrutha Pushpak and Selena Selvakumar who suffered respective defeats to Miyu Maeda (7-11, 3-11, 9-11) and Kyoka Kato (6-11, 7-11, 11-9, 4-11), and the Round of 16 proved just as challenging for Moumita Dutta. Despite putting up a brave fight Moumita Dutta exited the competition to Alina Nikitchanka of Belarus (10-12, 8-11, 7-11), leaving India without a player to contest the quarter-finals. Adriana Diaz and Mizuki Morizono are through to the next stage of the event following victories over Tsai Yu-Chin (11-1, 11-9, 11-6) and Daria Trigolos (11-5, 10-12, 11-4, 11-9).